It’s been busy! Here is a sample of what has been happening. 4th January 2017 – Jeremy Barrell (BSc FArborA DipArb CBiol FICFor FRICS), of Barrell Tree Consultancy, appeared on the BBC’s ‘The One Show’, where he gave his expert opinion on the need to retain Sheffield’s healthy highway trees. 7th January – A Facebook organised event asked Sheffielders to ‘Tie a Yellow Ribbon’ all the way round the Town Hall. STAG uses ribbons to draw attention to threatened trees, an idea inspired by the popular song ‘Tie a yellow ribbon round the old oak tree.’ Despite the rain, hundreds of supporters turned up to make this action possible. 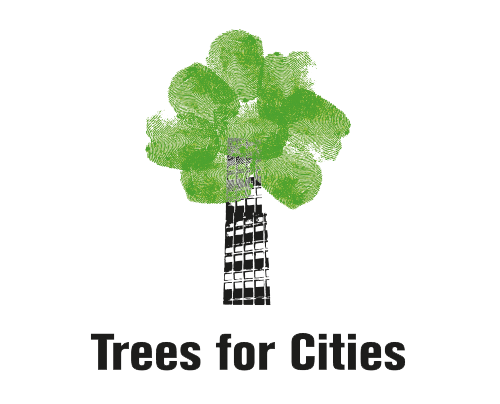 • the City of Bristol’s carefully thought-out civic tree strategy. • the CAVAT system for measuring the ‘community-amenity’ value of individual trees. Sheffield’s street-trees are worth millions of pounds by this calculation! • the real age of Sheffield’s ‘young adult’ trees. They aren’t ‘past it’ as Sheffield City Council have been telling everyone, they have centuries yet to live! • potential health problems for people and wildlife caused by the daylight-spectrum bulbs in Amey’s new street-lights. Chicago’s urban trees suffered when extended winter ‘daylight’ disturbed their yearly cycle. • attractive and commonly used engineering solutions for pavements with large trees. The conference highlighted the real need to share tree knowledge with the general public. Some of this information can be found in STAG’s campaign leaflets. 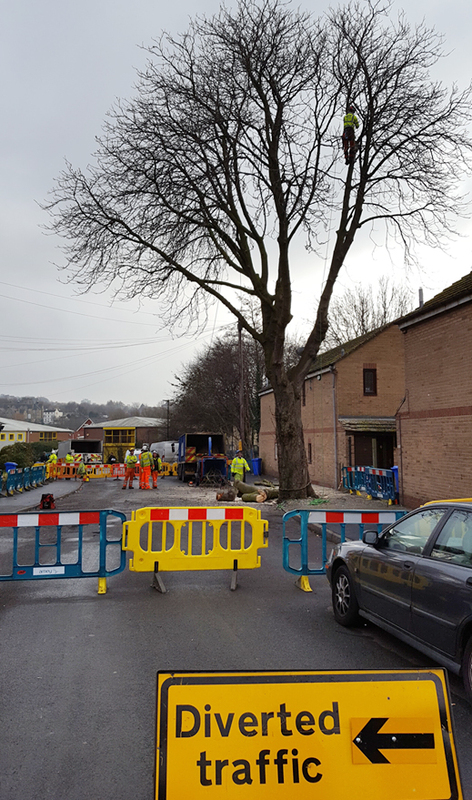 5th February 2017 – Amey Plc, assisted by the South Yorkshire Police (SYP), arrived in Chippinghouse Road, Nether Edge, to fell a number of large street trees. Trees were protected by residents and campaigners alike and, despite the calm and orderly nature of the protest, seven people, including Sheffield City Councillor Alison Teal, were promptly arrested (under the same ‘‘Trade Union Act’ as used in Marden Road in 2016) when they decided to enter the work zone underneath a condemned horse chestnut. Sadly the tree was felled shortly after the arrests. 6th February 2017 – Amey returned to Chippinghouse Road. Felling was initially delayed due to quick thinking protestors parking their cars under trees, although this was only a temporary solution as they were asked to remove their vehicles by SCC parking services. Last minute permission was granted by a homeowner, allowing campaigners to stand in their front garden overhung by a threatened tree. Meanwhile Inspector Stubbs arrived insisting that protestors could not remain in the garden, however campaigners stood their ground. 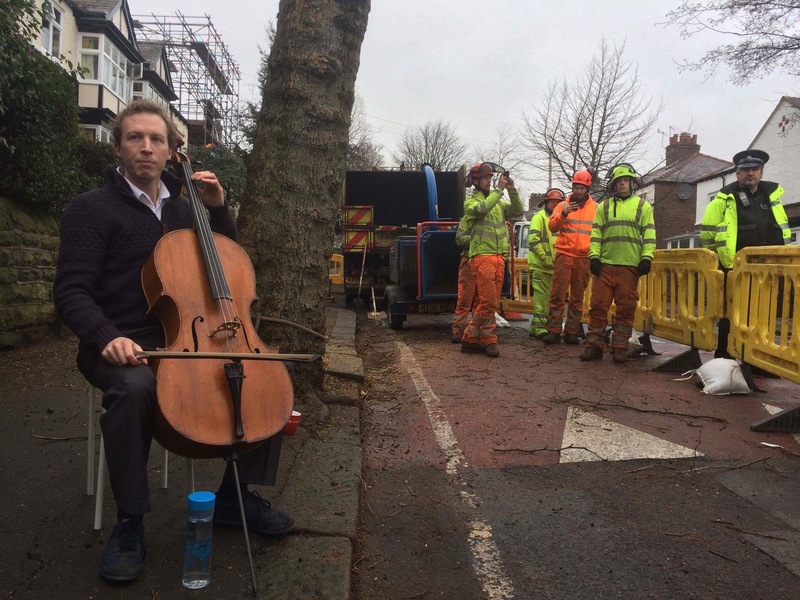 Over on the other side of the road, Amey’s safety barriers were repositioned several times over the course of a couple of hours, each time enlarging the work zone around the tree and reducing the area in which protestors were allowed to stand. Although ‘public safety’ was cited, it was understood by protestors as deliberate attempt by police to clear the area so that felling work could continue. 7th February 2017 – eight police officers arrested a further two individuals on Chippinghouse Road, this time while staging a non-violent protest on private property, bringing the total number of those arrested to 14. The legality of these arrests was disputed, however SYP assured STAG that they were correct in their interpretation of the law, and remaining tree-protectors were forced to stand down leading to the loss of another healthy tree. 8th February 2017 – Inspector Stubbs was informed by superiors that he was being broadcast on Facebook Live. Shortly after this the police backed down with regard to their earlier insistence on arresting people stood on private property and a contested tree was saved. 9th February 2017 – The destruction of ‘Lonesome George’, a stately horse chestnut in a part of Chippinghouse Road with no other trees, was particularly painful. Residents living next to ‘George’ came home to find their street full of police-cars, barriers and arborist crews. Due to the flawed survey process many had not realised that ‘their’ conker-tree was due to be felled, resulting in understandable distress. SYP again used arguably intimidatory tactics when they penned residents and protestors into a narrow part of the pavement opposite ‘George’. 10th February 2017 – Back on Chippinghouse Road, Chris Rust handed over a ‘warning’ letter to Insp. Stubbs. It repeated STAG’s belief that the decision to conduct arrests and issue warnings to protestors stood on public highways and on resident’s properties is unlawful. The police response to STAG’s warning letter was to continue with the threat of arrests under the Trade Union Act. 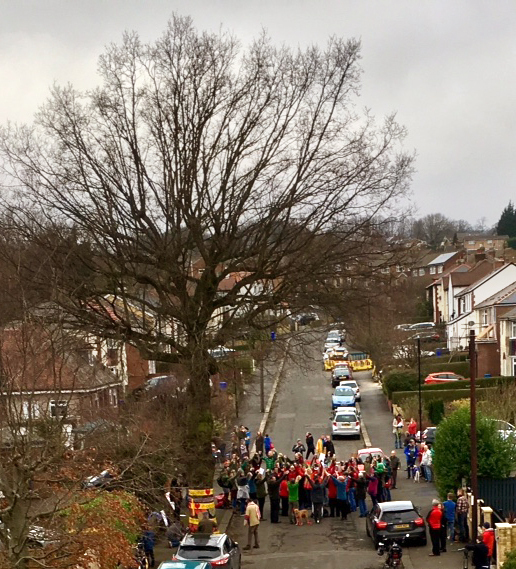 13th February 2017 – Police arrived to handle peaceful citizens gathered on St. Ronan’s Road, Nether Edge, and Chris Rust took the opportunity to deliver legal advice written by barrister, Paul Powlesland, to Insp. Stubbs. In it Paul questions the arrests and warnings that took place at both Marden and Chippinghouse Roads under Section 241, including a detailed consideration of what constitutes an arrestable offence under this act. Shortly after this SYP announced the suspension of tree felling on both St. Ronan’s Road and also across the city at Chiltern Road in Hillsborough, so that their own solicitor had a chance to review the new advice. This marked the end of police involvement in overseeing peaceful tree protection, a position later reinforced by Dr. Alan Billings, the South Yorkshire Police and Crime Commissioner, when he said: “The police should not be drawn into delivery of the policy, as they were when they knocked on doors in the early hours on Rustlings Road. This was a matter for the city council and its contractors, as I said at the time.” As Amey could no longer rely on protestors being removed by the police felling in Nether Edge ceased. For more detail on the events taking place during this challenging fortnight read the legal situation. 25th February 2017 – The ‘Stop the Spin’ event was hosted on the steps of Sheffield Town Hall, the origin of much of the misinformation spread about Sheffield’s street trees. The centrepiece of the occasion was a chainsaw-wielding arborist (one of our supporters) dressed in hi-vis gear chasing down trees (a small forest of supporters with branches) to a chainsaw soundtrack. The public were generally amused and the event provided an excellent opportunity to talk to people about trees and hand out informative leaflets. For more on the council’s misinformation campaign please read our Stop the Spin leaflet. 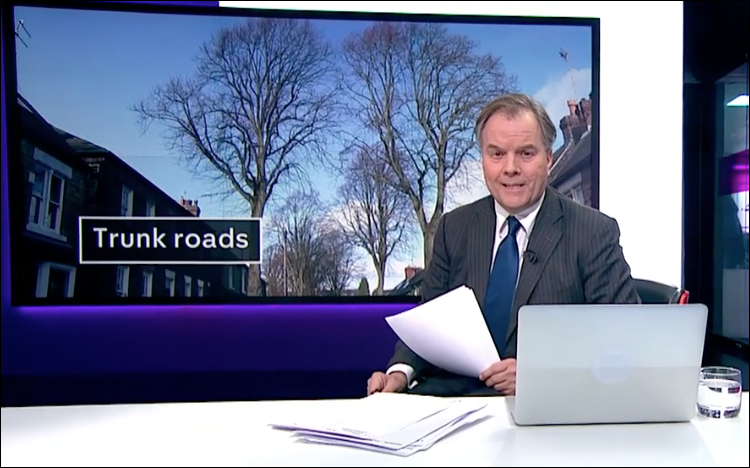 25th February 2017 – Channel 4 News aired an in-depth report on the many factors behind the destruction of Sheffield’s trees. Watch the video. 27th February 2017 – Dore residents gathered to celebrate 150 year old ‘Vernon Oak’, who is still in the prime of his life. As can be seen from this photo, he is the only large tree on Vernon Road. Vernon is a reminder of when this area was still predominantly a farmed landscape and deserves extra recognition for his contribution to the historical and cultural heritage of this city. SCC say this venerable tree must be removed because it has pushed the kerb slightly out of alignment. This is in spite of an Independent Tree Panel recommendation to retain the tree. By the end of February all plans by the Crown Prosecution Service to try any of the 14 arrested tree-protectors were dropped. Various reasons were given including: ‘lack of evidence’ and ‘not being in the public interest’ . While some arrestees were relieved, others were disappointed not to be able to argue the legality of their arrest in court. 15th March 2017 – South Yorkshire’s Police and Crime Commissioner, Dr. Alan Billings, said that the Crown Prosecution Service (CPS) is “not prepared to criminalize peaceful protesters,” and that attending proposed felling was not a good use of police resources. 19th March 2017 – marked one hundred years since Oxford and Tay Street residents planted trees as a ‘living memorial’ to their WW1 dead. The Royal British Legion joined with Oxford and Tay Street residents and STAG representatives to hold a memorial ceremony for the 77 young men from the local neighbourhood, who lost their lives in WW1. As their bodies could not be repatriated the trees were planted as a focus for their families’ grief. An exhibition about the soldiers, where they lived, worked and died, was displayed along the full length of Oxford Street. These hundred year old trees have only just reached their adult size and have a century or more of life yet to live. Nonetheless nine of these healthy trees are threatened with removal. STAG staged a WW1 historical re-enactment. 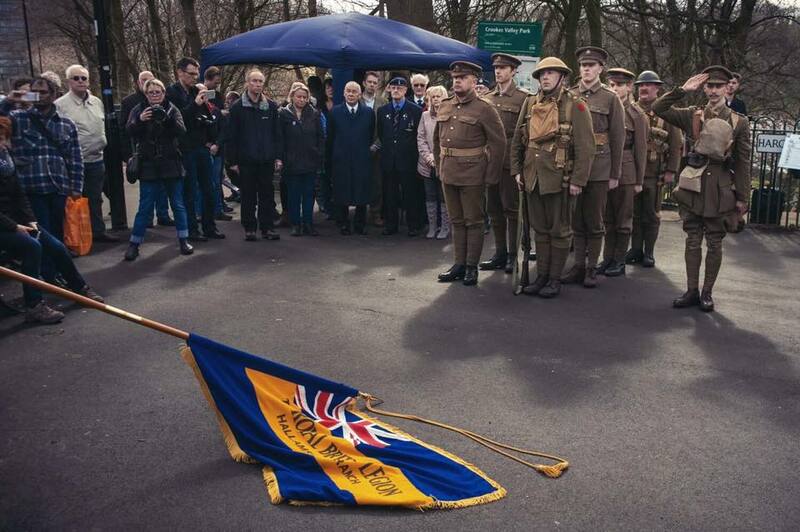 Nine young men, including current and former military personnel, marched briskly from Midland Station, past Sheffield Town Hall to the Weston Park Cenotaph, then on to the Oxford and Tay street Memorial Ceremony for two minutes’ silence at 11.00am. A young man in WW1 uniform stood ‘on guard’ by each of the nine ‘young adult’ threatened trees. Later they marched past the (also threatened) Western Road War Memorial trees. Artist Paul Brooke created a 5 day long piece of performance art in the Winter Gardens. 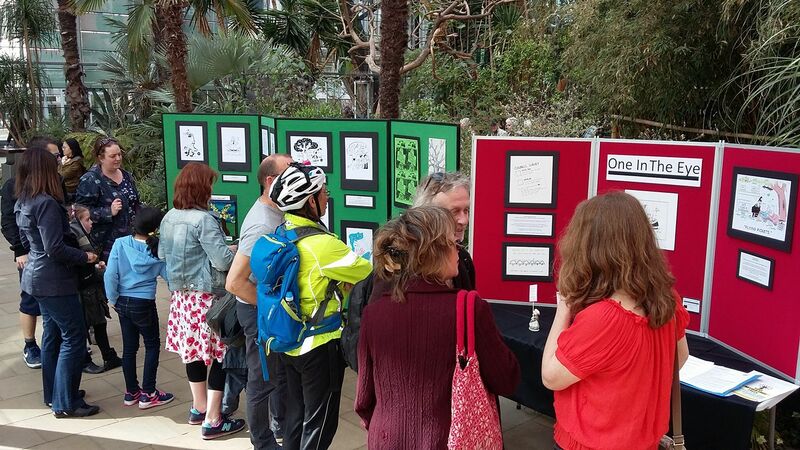 On 1st April original amateur artwork was replaced with an exhibition of cartoons and satirical works by renowned local artists including Pete McKee, James Whitworth and Lydia Monks. Performance Artist Paul Brooke created an entirely fictitious art club named ‘Meersbrook Community Arts Club’ and booked an exhibition space in the Winter Gardens (a Council managed public space). Paul Brooke said “The purpose is to raise awareness of the destruction of Sheffield’s street tree heritage and the failure of the Council to read and understand contracts, by using satirical art. […] We submitted information with our application that clearly stated that the ‘Art Club’ was fictitious but evidently the Council did not read the contract, this reflects one of the concerns many residents have about Sheffield City Council’s oversight of the ‘Streets Ahead’ PFI contract with Amey”. 3rd April 2017 – International support for STAG: the Taiwanese Tree-Party and Canadian Professor of Resource and Environmental Studies visited Sheffield. The city’s controversial tree-felling programme has been widely criticised, both throughout the UK and internationally – Sheffield is now famous, but sadly for the wrong reasons. 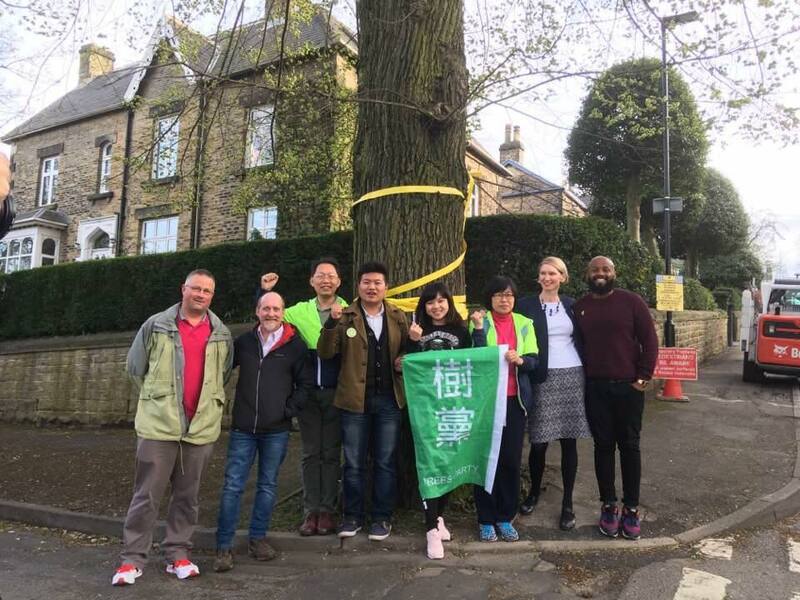 Delegates from the Taiwanese Tree-Party are pictured standing in front of the 120-year-old Chelsea Road Elm, a rare survivor of Dutch Elm Disease. STAG members, including Sheffield City Councillors Alison Teal and Majid Majid, showed them trees at risk in many parts of the city. The following day Professor Peter Duinker, from the School for Resource and Environmental Studies at Dalhousie University Canada, came to see Sheffield’s tree-felling programme for himself. His visit was co-hosted by STAG and the Woodland Trust. STAG regularly receives supportive messages from across the UK and around the world. 15th April 2017 – The Roots of Steel concert was held at Yellow Arch studios. 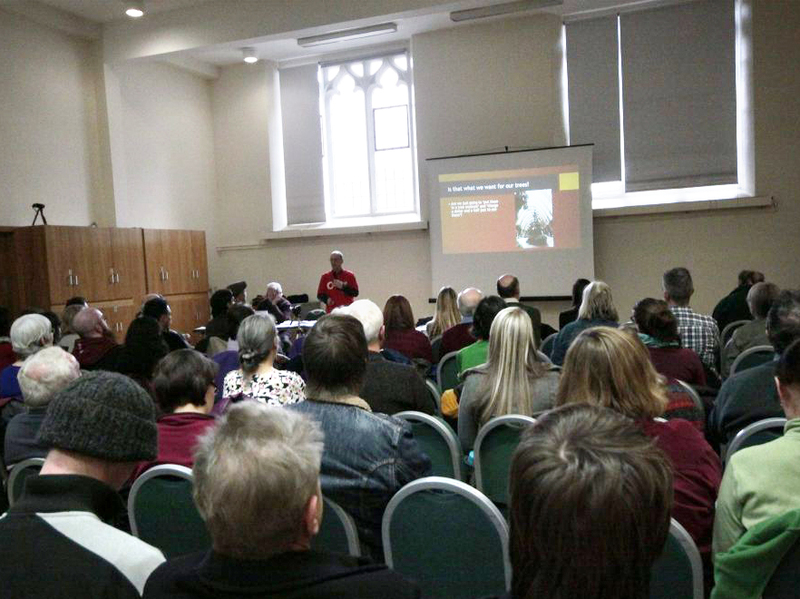 The community turned out in force to watch an excellent line-up and the event was a great success. All proceeds from this one day festival were donated to STAG. 24th May 2017 – The result of the ‘Great Trees of Sheffield 2017’ competition was announced at Hallam University. 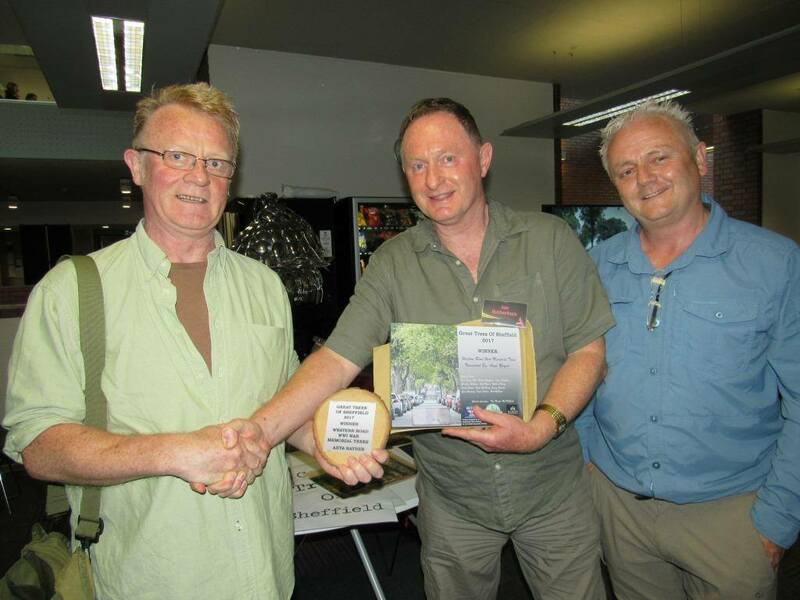 After an intense and lengthy discussion over the many characterful trees that were nominated, the winner was judged to be the Western Road War Memorial Trees. Professor Ian Rotherham presented a trophy ‘Tree of Steel’ to Robin Ridley, a resident of Western Road. 25th May 2017 – Instead of negotiating with the people they are appointed to represent, SCC published a notice in the Sheffield Telegraph, of questionable legality, banning pedestrians from walking along their own streets if and when required to do so. This was also backed up with the appearance of numerous street signs with similar wording – more on this in the legal situation. In a highly surreal development ‘security operatives’, posing as arborists and wearing discreet body-cams, have been employed to film polite and peaceful protesters. There is reason to believe that this may well represent a breach of data protection laws – STAG are still reviewing this. Final week of May 2017 – events took an ugly turn when certain unstable individuals ‘previously known to the Police’ vented their frustrations on campaigners, and a senior Amey manager is alleged to have assaulted a peaceful tree-protector. To our great relief SYP have protected us impartially and confirmed that we have the right to peaceful protest. Amey brought in extra crews from outside the city in an attempt to overwhelm campaigners. Members of the public reported several incidents, concerned that Health and Safety guidelines for the safe felling of trees in public areas were being neglected. The general consensus was that the additional crews were in Sheffield on a ‘hit and run’ mission. STAG requested another meeting with SCC in early July to try to find a way forward that recognises the concerns of of residents and the wider tree-protecting community. 26th June 2017 – Another attempt was made to take the remaining threatened trees on Chippinghouse Road. Once again the actions of protestors halted felling and the tree crews stood down. 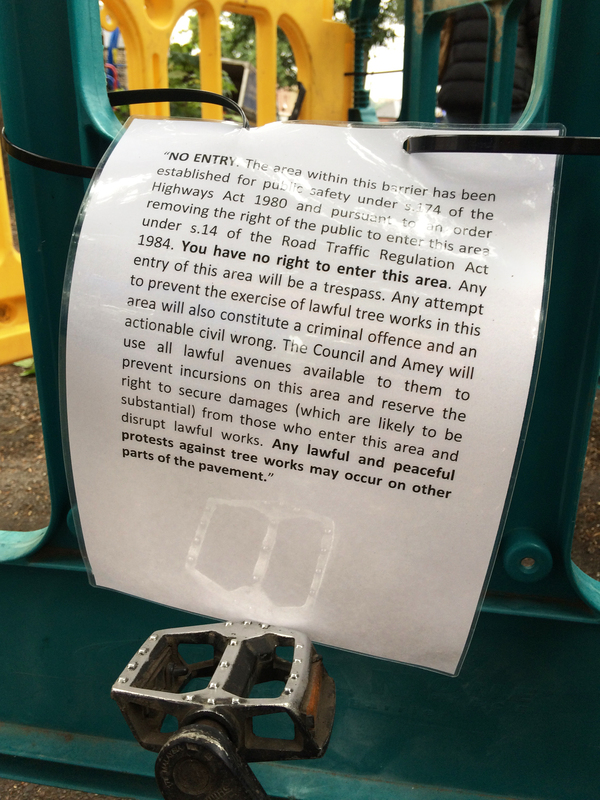 A notice attached to a safety barrier, designed to exclude protestors from the work zone, was only partially successful. Several tree-protectors chose to ignore the warning and stand directly underneath trees or in adjacent gardens where permission was given. 27th June 2017 – Meanwhile the council have responded to continuing protests by issuing pre-injunction notices to protestors and residents alike. Despite agreeing to meet with STAG in early July it would seem that SCC are still unwilling to listen to public opinion and are taking extreme steps to squash attempts to save trees. Watch the BBC Look North report and read Cllr. Alison Teal’s response in the Guardian. 29th June 2017 – Contractors arrived to fell the cherry trees on Abbeydale Park Rise. Residents keen to defend their trees were supported by STAG and no trees were taken. These cherries were planted by the community years decades ago, with the council’s permission. Now they are being removed due to pavement and kerb issues despite vocal opposition from a community determined to keep them. 30th June 2017 – SCC have announced their intention to fell the Chelsea Road Elm, arguably one of Sheffield’s most important trees and winner of second place in the English Tree of the Year 2016 competition. As one of only around 1000 elms outside of Brighton and Edinburgh that have been able to survive Dutch Elm Disease beyond the age of 50, it is a nationally important tree. A colony of rare White Letter Hairstreak butterfly, a Biodiversity Action Plan species, call it home and, without another suitable tree to move to, this butterfly’s future is in doubt. The ITP have recommended saving this special tree and yet again the council have ignored their advice. 28th June 2017 – A BBC report into the tree campaign including a discussion of injunctions (apologies for video quality). 4th July 2017 – STAG’s representative Graham Turnbull spoke at a conference held by Bristol Tree Forum, where he told delegates what has been happening in Shefield since the start of the ‘Streets Ahead’ contract. After Graham’s presentation she said “Let me be perfectly clear, there is NO way we are going to enter into a PFI contract”. 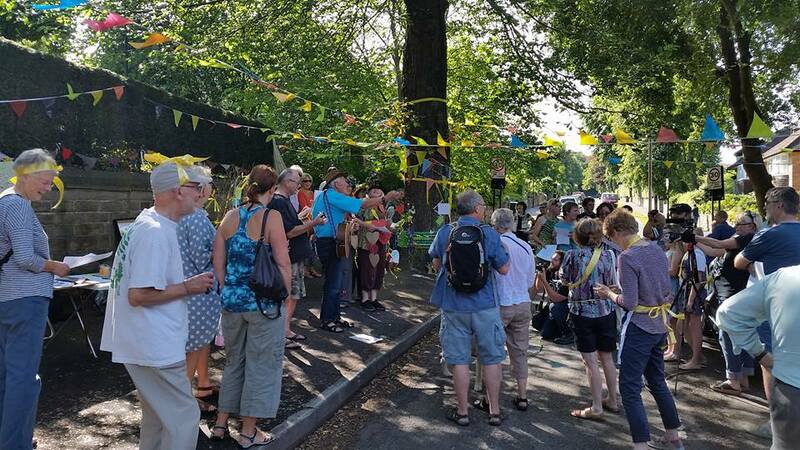 16th July 2017 – A street party was held on Sunday to celebrate the famous ‘Chelsea Elm’ that faces a fresh threat of removal despite earlier assurances from the Council. 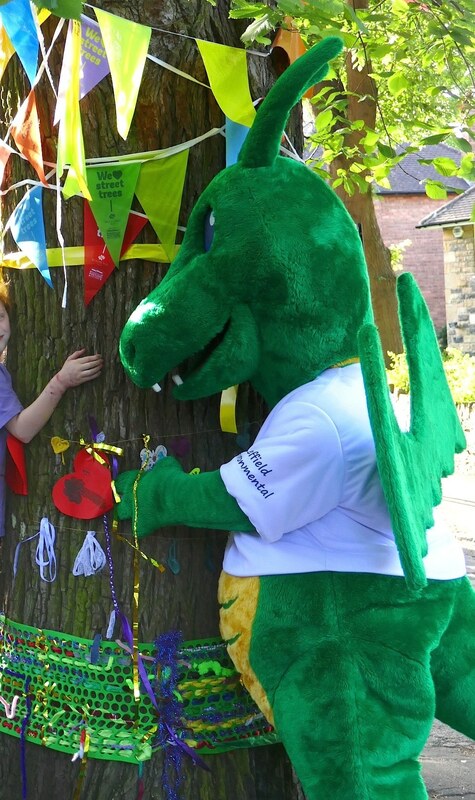 ‘Hal of Hallamshire,’ South Yorkshire’s woodland-saving dragon put in an appearance and gave the elm a good hug. Although it was a happy event that raised everyone’s spirits, the fate of the eight tree-protectors facing the High Court in Leeds the day after was never far from anyone’s minds. 17th July 2017 – The eight STAG members served with injunctions by SCC were represented by John Cooper QC in the High Court in Leeds. Among the eight was Sheffield Green Cllr. Alison Teal. SCC withdrew their application for an interim injunction. Both barristers agreed they could be ready for a full court hearing on 26th, 27th and 28th of July. 17th July 2017 – On the same day as the hearing in Leeds, ‘Demonstration Monday’ was in full swing back in Sheffield. 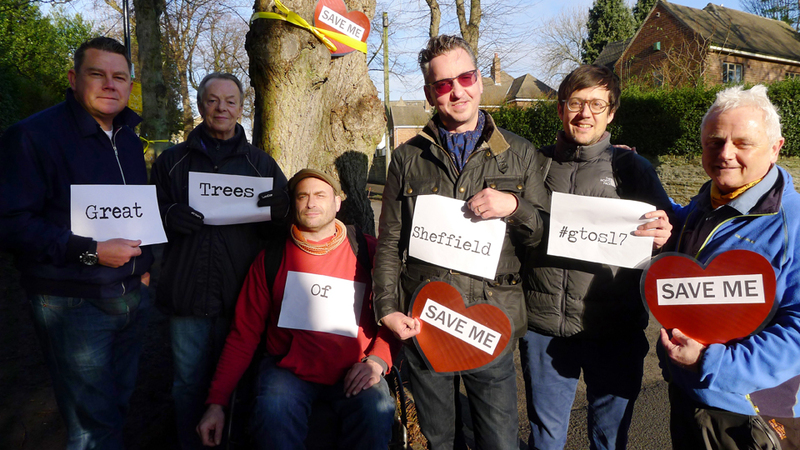 Tree-campaigners met on streets all over the city to demonstrate their support of the ‘Leeds Eight’ and to protect trees from felling crews. STAG’s ‘Fun Branch’ put together this ‘photo-montage’ of STAG-members’ photos of the day. 18th July 2017 – The sudden and imminent prospect of a major court-case means that STAG needs to raise a large sum of money to defend the eight peaceful tree-protectors. Fundraising initiatives are taking place all over Sheffield. STAG members have auctioned belongings on ebay, shops supporting STAG have been carrying our collecting-boxes and selling STAG merchandise. STAG’s ‘Fun Branch’ held an impromptu stall at the city’s Tramlines Festival. Crowdfunding has received raised donations ranging from £2.00 to £400.00. The support for the ‘Leeds Eight’ has been overwhelming and contributions are coming in at approximately £1,000 per day! That said, court-cases don’t come cheap, and fundraising efforts continue. 6th August 2017 – Christmas came early to Abbeydale Park Rise, famed citywide for its Christmas lights and its buzzing cherry-blossom each spring. Every December people from across Sheffield and the nearby Peak District come to soak up the atmosphere under the boughs of these illuminated trees. Despite it being late summer, not winter, around 50 residents and supporters gathered to hold a vigil under the cherries. There were tears, cheers, songs and poems, as campaigners stood defiant under the glow of fairy lights. Residents have attempted to negotiate with Amey and Sheffield City Council, however they have been told the felling of 19 trees will go ahead as planned. The street is poised to defend their trees when the chainsaws come, as it is now the only option left. 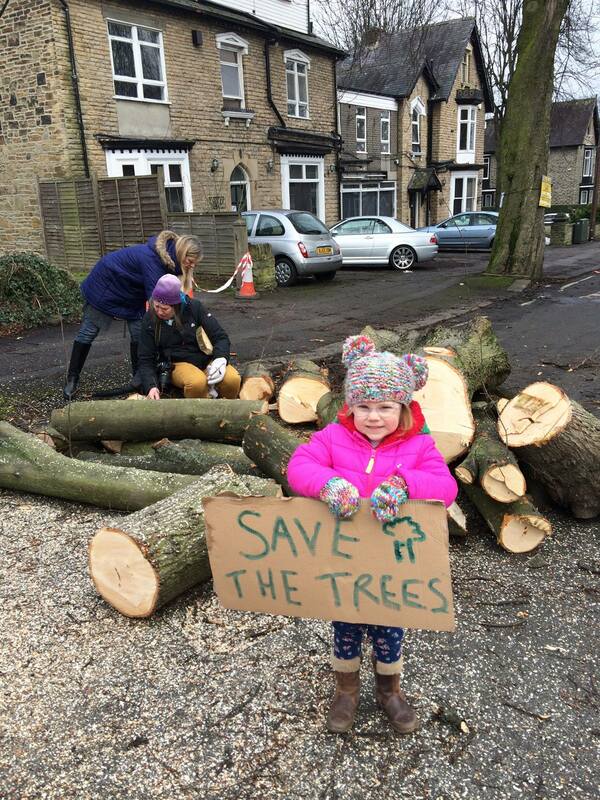 Residents appeared on ITV Calendar News asking why the ‘Engineering Solutions’, already paid for within the Streets Ahead contract, are not being used to save these much loved trees that bring pleasure to so many people from Sheffield and beyond. 15th August 2017 – Dave Dillner, STAG’s founder, reacts to the Leeds High Court judgement on Sheffield Town Hall steps. 1st October 2017 – BBC1’s Countryfile programme broadcasts a feature on Sheffield’s street trees. 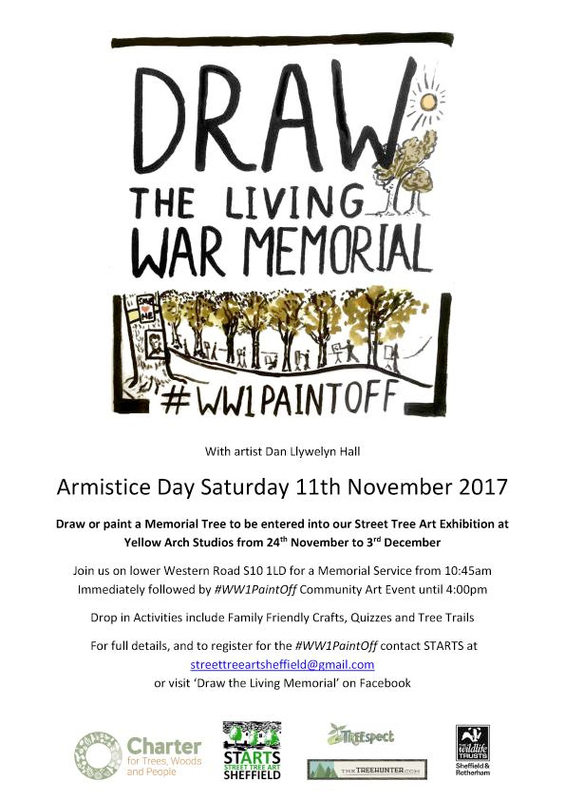 11th November 2017 – The ‘WW1 Paint Off: Draw the Living Memorial’ celebrated the threatened street trees on Western Road that were planted in honour of those who served during the Great War. The original idea came from Rob McBride, aka the Tree Hunter, who has collaborated with artist Dan Llywelyn Hall and the Street Tree Art Sheffield (STARTS) group to make this event happen. 13th November 2017 – BBC1’s The One Show programme covered the activities and spoke to the people attending the WW1 Paint Off: Draw the Living Memorial event. 23rd February 2018 – Amey announce tree-felling work will restart with South Yorkshire Police providing ‘a higher level of police presence’. 26th March 2018 – Sheffield City Council announce a pause in tree felling, citing dangers arising from “…the actions of a handful of people unlawfully entering the safety zones where tree replacement work is being carried out” as the reason. Others suggest that it is a face-saving exercise ahead of local elections taking place in May.